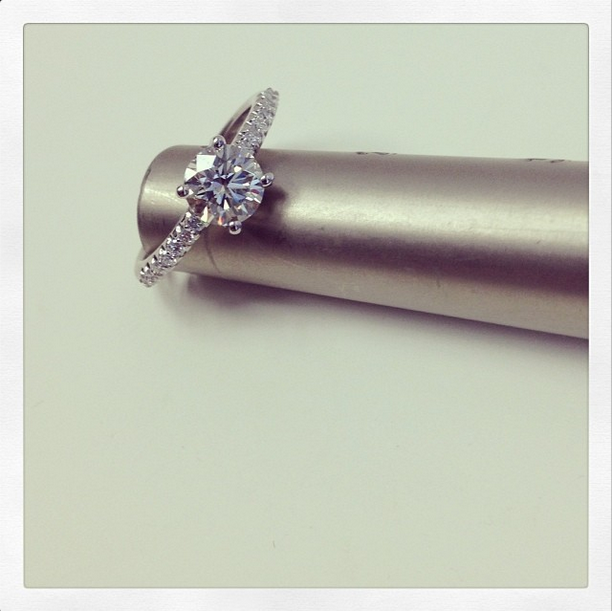 Among our most popular ring settings are our diamond accented engagement rings. These rings add a little extra sparkle to the center diamond and are manufactured with the measurements of your center stone. This means that no two settings are exactly the same and each setting is as special and as unique as your love. I have selected three of my favorite diamond accented engagement ring settings, which are also beloved by our customers. Style # HE187 with a cushion cut center diamond. 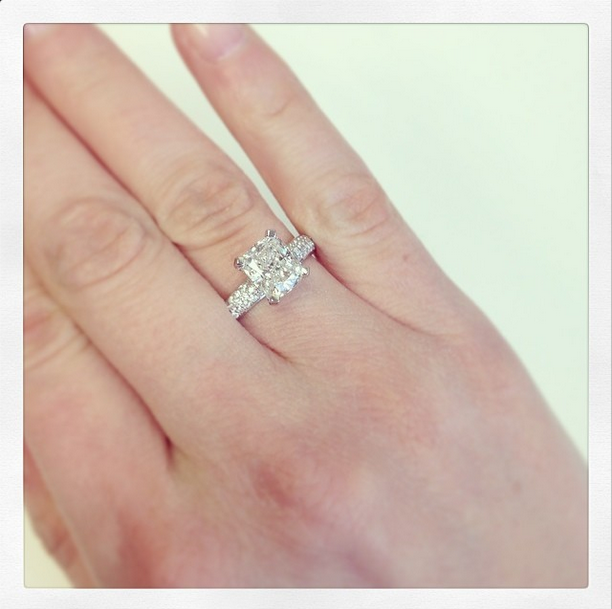 This stunning engagement ring features three rows of pave diamonds on the band. This ring can be set with any diamond shape that ranges from 0.50 ct to 5.00 ct. With all of our engagement rings, we can customize this ring for a different carat weight, if desired. Please contact us directly for a price quote. Style # HE118 set with a round brilliant center diamond. This engagement ring features a pave band part-way down the band. This engagement ring is admired because this band is flattering for any shape or size center stone. 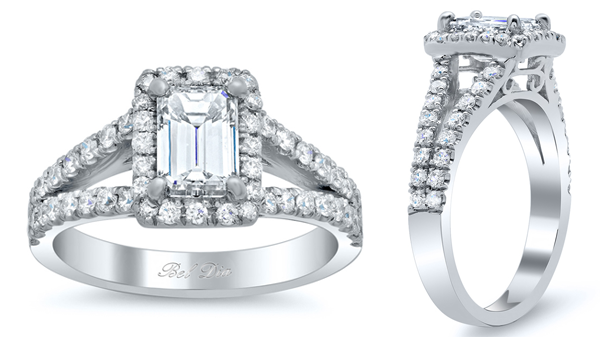 Style # HE239 with an emerald cut center diamond. For an engagement ring that is more of a statement piece, this ring is perfect. It features graduating step cut diamonds on either side of the center diamond. This ring setting is ideal for an asscher cut or emerald cut center stone.